‘The Crown’ Season 2: Who Is the Real Lord Altrincham? The Crown: Who Is the Real Lord Altrincham, the Man Who Saved the Modern British Monarchy? John Heffernan as Lord Altrincham (left), the real Lord Altrincham (right). One of The Crown’s strengths is the way it seamlessly shifts between stories of major international prominence and political intrigue — the palace visit of the Kennedys or the Suez Crisis, for instance — and humanistic ones that people don’t seem to know much about. In the first season, the best example of this revolved around the power dynamic shared between Winston Churchill and his portrait artist, Graham Sutherland. This time around, it’s the tale of an amiable chap named Lord Altrincham. When we first meet Altrincham (John Heffernan) leaving a London television studio with a smug look on his face, he’s painted as an easy villain: He just insulted Queen Elizabeth in print and on TV! He got punched in the face and deserved it, damn it! Yet as the story progresses in season two’s fifth episode, “Marionettes,” it’s clear that Lord Altrincham is not only justified in his astute criticisms of Queen Elizabeth and the royal family — her speech at the car factory really was that terrible — but his advice will eventually be needed for the sake of the greater good. “In the end, almost all of Lord Altrincham’s proposed changes to the monarchy were implemented,” the closing credits of the episode tell us. “The palace later conceded that Lord Altrincham did as much as anyone in the 20th century to help the monarchy.” So, who exactly is this fellow we should thank for keeping the lights of Buckingham Palace on? And why didn’t we hear of him sooner? The Crown likes to take creative liberties with its narratives, of course, so with that in mind, here’s what you need to know about the real Lord Altrincham. Were Lord Altrincham’s attacks on the Queen really a national sensation? How did things play out after it was published? That infamous ITV television interview occurred just as The Crown showcased, during which Lord Altrincham articulately elaborated his thoughts on the royal family and didn’t repent his criticisms. (Perhaps the most prominent burn at the time: The Archbishop of Canterbury called him “very silly.”) “I’m quite sure this needed saying,” he said in the interview, noting that the letters he received were “three to one” in his favor. “The Queen’s speech, I feel, her own natural self is not allowed to come through. It’s a sort of synthetic creature that speaks. Not the Queen as she really is. If she herself would be allowed to speak, the effect would be wonderful.” He was also slapped by a member of the League of Empire Loyalists while exiting the studio, who shouted, “Take that!” Sadly, no footage of that exists. Did he actually have a meeting with the Queen? There’s no public record of a meeting ever taking place, as juicy as the show made it out to be. However, in the biography Monarch: The Life and Reign of Elizabeth II, author Robert Lacey confirmed that Lord Altrincham met with another prominent palace insider instead. Did he generate controversy like this ever again? Not really, but he lived a very interesting life. 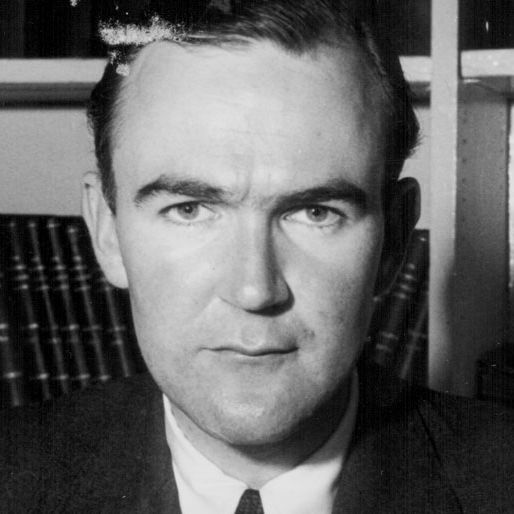 As The Crown noted, he eventually disclaimed his title when it became legal to do so under the Royal Assent in 1963, deciding to use his birth name, John Grigg, instead. Grigg’s obituary in the Telegraph — he died on New Year’s Eve in 2001 at the age of 77 — reported that he continued to be a respected writer, journalist, and biographer for numerous British publications until his health deteriorated in his later years. (His three-part biography of David Lloyd George was particularly revered.) In fact, in the subsequent days after Princess Diana’s death, Grigg praised the Queen’s divisive televised broadcast as “the best I have ever heard from her.” A family man, he also adopted two children with his wife, Patsy. The Crown: Who Is the Real Lord Altrincham?